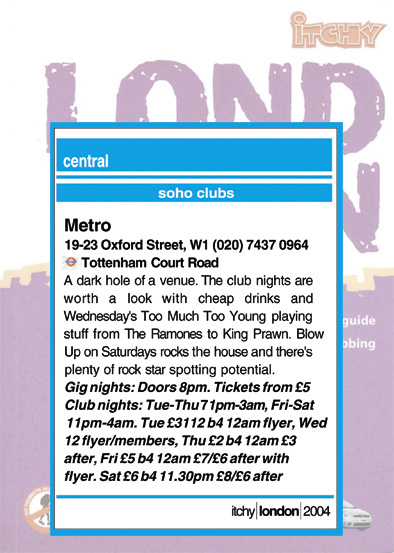 ITCHY GUIDE TO LONDON: SOHO CLUBS A dark hold of a venue. The club nights are worth a look with cheap drinks and Wednesday's Too Much Too Young playing stuff from The Ramones to King Prawn. Blow Up on Saturdays rocks the house and there's plenty of rock star spotting potential.